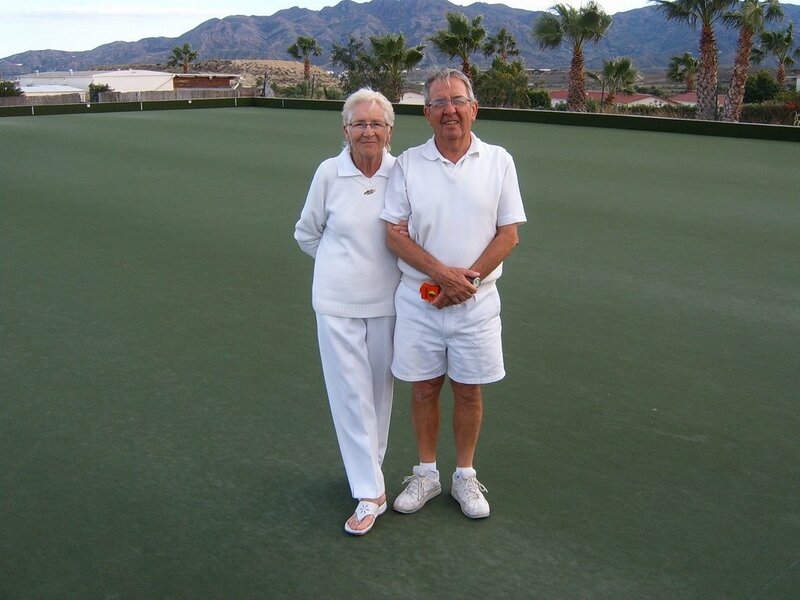 The Open Mixed Pairs – Inaugural Cup was played on the weekend of March 1st and 2nd and started with threatening weather on Saturday but turned out well with a sunny but very windy day on Sunday, making bowling difficult. The entries were very good with a total of twenty-eight pairs from Indalo, Cabrera and our own Bowling Club. The competition schedule was planned for two groups playing three games each to be completed each day over a timed period, hoping to play eight ends within that time in each game. Points were awarded for wins, draw and ends won. One can never really predict the eventual winners. This proved to be the case with the final games of the competition giving mixed feelings of pleasure and disappointment. 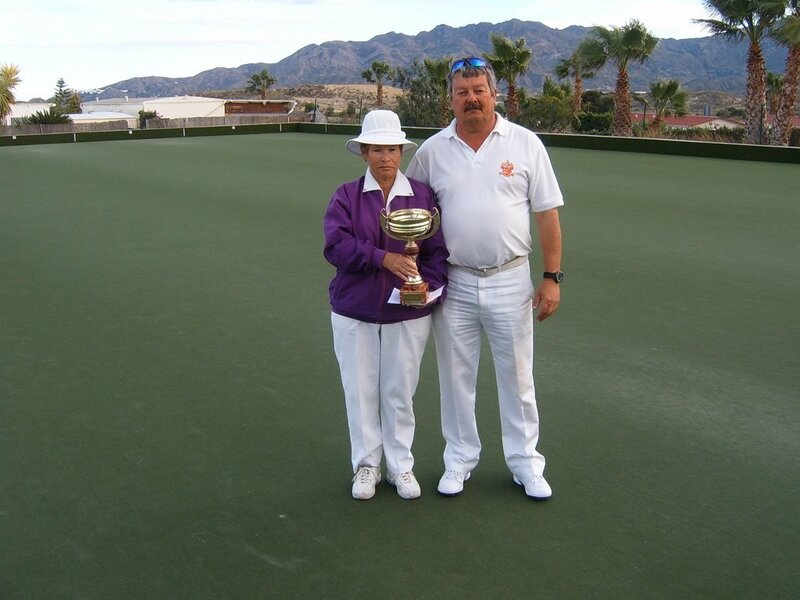 The winners were Ruth Compton & Steve Grattage from Indalo with 45 points, second were Viv & Ken Sykes, 43 points from Almeria and third with 42 points were Barry Jones & Ann Reynolds from Indalo. The forth place also having 42 points, but a less favourable shot difference, were Dave Jenkins from Cabrera and Doreen Hall from Indalo. Yours truly expressed how well the competition had gone and thanked everyone for taking part and the bar and catering staff for keeping us watered and fed. I also thanked the assistance of Stan Brisco in umpiring and timing of the games. Colin Wright who worked tirelessly throughout with the administration of transcribing score cards onto results sheets, who without, we couldn’t operate the competition successfully. Captain of Almeria, Colin Wright, then presented cash prizes of 80 euro 1st, 50 euro 2nd and 30 euro for 3rd and finally 20 euro for forth place. 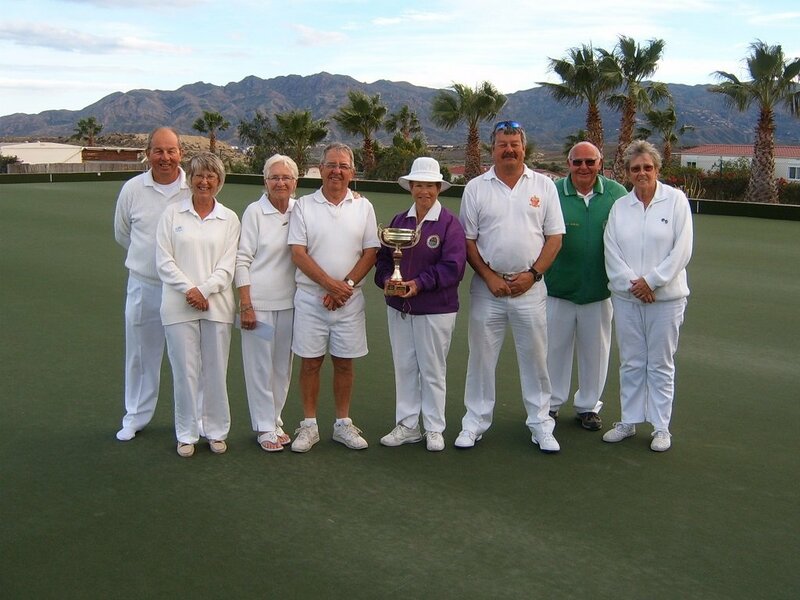 This report and photographs will be found on our website www.bowlingalmeria.com / www.bowlinginspain.com and Sol Times if space is available. Hi Vic, thanks for forwarding the report and pictures via Ruth Compton. Inaugural event. Hope we can enter next year.